The data center is the lifeline of any modern company. It houses the servers that contain all of the company’s mission critical applications and vital data. Since the majority of company productivity is derived from technological applications, a loss of these applications for even an hour can cost the company tens of thousands of dollars. One of the most common times for a data center to experience downtime is when a company is going through relocation. The data center is perhaps the most complex room in the entire company and moving it is much tougher than it looks. Moving the data center is not simply disconnecting the servers, placing them in boxes, and then reconnecting them again at the new location. 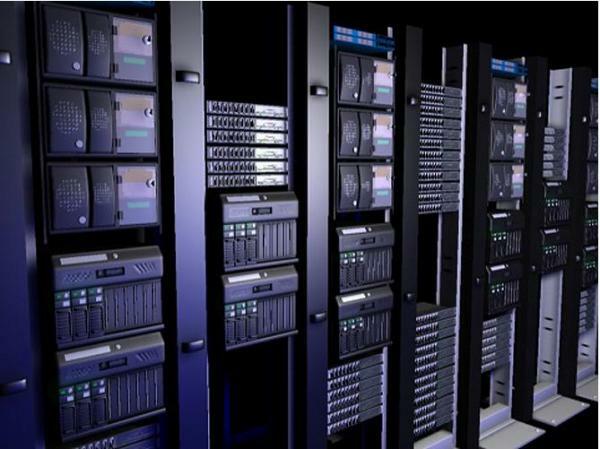 Moving a data center takes months of advanced planning to make sure everything goes smoothly. Often times, despite advanced planning, some problem comes up that causes the relocation to take more time than planned. These unexpected problems usually cause downtime in the company, which ultimately impacts the company’s bottom line in a big way. Quite simply, the IT department has neither the time nor experience to take on a big project like relocation while still completing the job they were hired to do. To solve this problem, and consequently limit the possibility of downtime, the service provider is usually called in to handle the project. The service provider is the company that handles the service and maintenance of the servers. Some of the best known service providers are HP, IBM, and Sun. All of these companies have highly qualified engineers who can take care of the data center relocation. The problem with these engineers is that they cost $300+ per hour. This cost can be particularly detrimental to any sized company since it takes a lot of time and planning to properly execute relocation. $300+ an hour is not cheap. ITatOnce IT Consulting Services is an excellent alternative to the higher priced service provider. Essentially, we do the exact same work as a service provider, just at a much cheaper rate. We are able to provide this service cheaper because we do not have the pricey overhead that an HP or IBM has. In fact, often times the service providers simply sub-contract out all their work to a disconnect/connect company. HP, IBM, and Sun are able to demand such a large fee for their services simply because of their name. In spite of all this, many companies still work with a service provider during relocation. Why? The warranty on the equipment is the cause. The warranty from these service providers is worded so that only a certified IBM technician, for example, can move or touch the servers. If someone else does, the warranty is voided. Most CIOs simply comply and use the service provider to relocate their servers. We are able to make sure the warranty is still intact because we utilize the certified technicians, but in short bursts of time rather than throughout the entire project like a service provider would. This adjustment substantially lowers the cost of relocation. The absolute best option when going through relocation is to hire ITatOnce to move the data center. We bring valuable experience that the data center manager simply does not have: we have been through hundreds of relocations and have seen every single problem out there. It is an investment that must be made in order to avoid downtime, which saves the company money. Nothing is going to surprise us, which means come Monday morning when all the employees come back to work it will simply be business as usual. ITatOnce Data Center is a wholesale colocation facility that provides data center real estate to companies who require uptime, connectivity, and room for growth. ITatOnce provides secure hardened data center building, highly reliable power and cooling, including N+1 redundancy, multiple Tier-1 carriers with dual entry fiber connections, as well as 24/7 monitoring of network and environmental systems. Also, ITatOnce extends its colocation offering through full-fledged IT Managed Services and Cloud Hosting Solutions. Learn more about our Data Center Management and Managed Private Data Center solutions aimed to take the burden away from your IT & finance departments. You are welcome to join! Please call the client hotline at 858.435.4856. Our Toll Free number 888.730.3433.